Gearing up for the convention/vacation season (as evidenced by the recent flurry of ebay sales), but that doesn't mean the hobby train is slowing down! 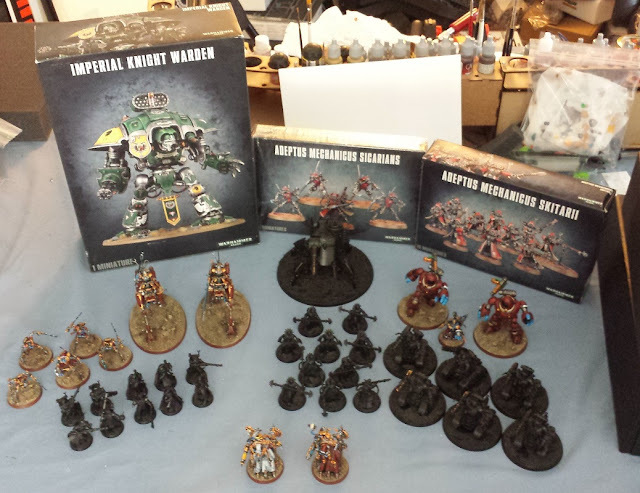 Over the last few months I've been squirreling away the new Adeptus Mechanicus releases GW has come out with, and now that the Imperial fists are done it's time to fire up the forges. I've once again said to myself "I'll just do a little boutique army", but this time I'm sticking to it (no, really) - in one of the recent White Dwarf there was a formation called the Adeptus Mechanicus War Convocation that is comprised of a little bit of everything released recently so I totted it all up and picked up the models to fulfill the formation! I'd painted some stuff up already (well, up to the point where they're ready for transfers and weathering), built and primered a few other units, and have just a handful of units that still need to be built. The plan is to get the primered stuff painted up to the same level as the currently painted stuff before doing any more building, and saving the Knight for last as a reward (really looking forward to building the new weapon options). I've always loved the idea of the Electro-Priests and decided to go with a big unit of Fulgurites, of the two options in the kit they're the ones I like the look of the most. I was really pleased with how well they went together, but they suffer somewhat in my opinion with the downside to CAD-created models - they go together brilliantly but really they only go together one way, so you end up with 'repeat' models. 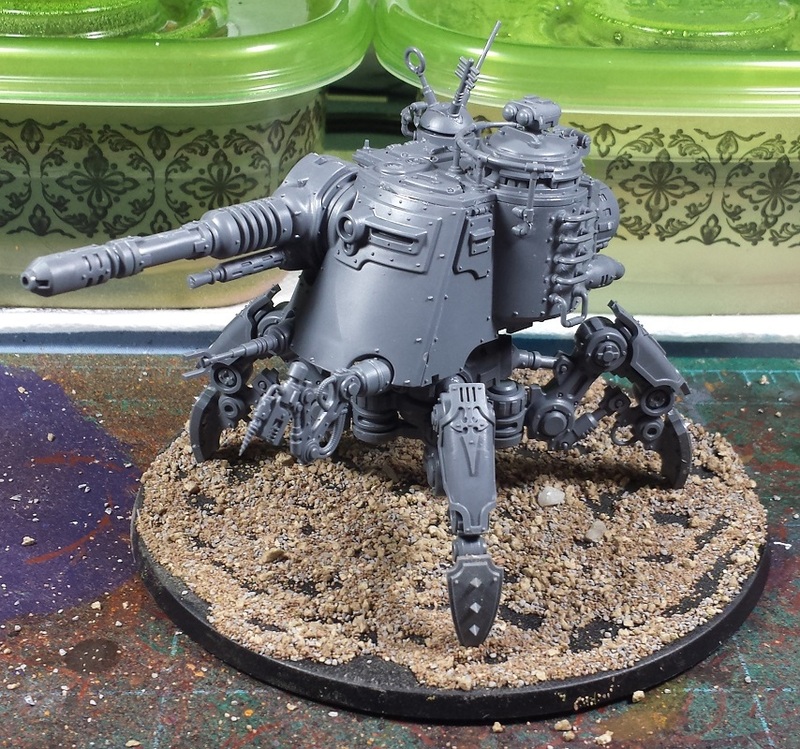 Really dig the Dunecrawler model as well - I can totally see how this design is utilized by the Dark Mechanicus to create Defilers. Hard to go wrong with a big ol' Neutron Laser, giving the army some much needed anti-tank firepower. So here's where things stand at the top of July. The plan of attack is to get the army done by the end of August, which should be a reasonable deadline - ideally I can get 'em done in time to get 'em out the door before taking the trip out to Italy. Looking forward to getting some brush time in on 'em! cannot wait to see this lot given the '7th Regiment' treatment. They will look brill! Love these models sooooooo much!! Whatcha doin' replying to this ? Get on with it man ! @The GunGrave: Aye - Overall I'm thrilled with the new GW plastics. There's a couple clunkers but overall it's a fantastic line. Another epic project ahead! Looking forward to seeing this take shape.